Green light for major improvements at Acton Main Line station - Crossrail . For information about the Elizabeth line please visit the Transport for London website. 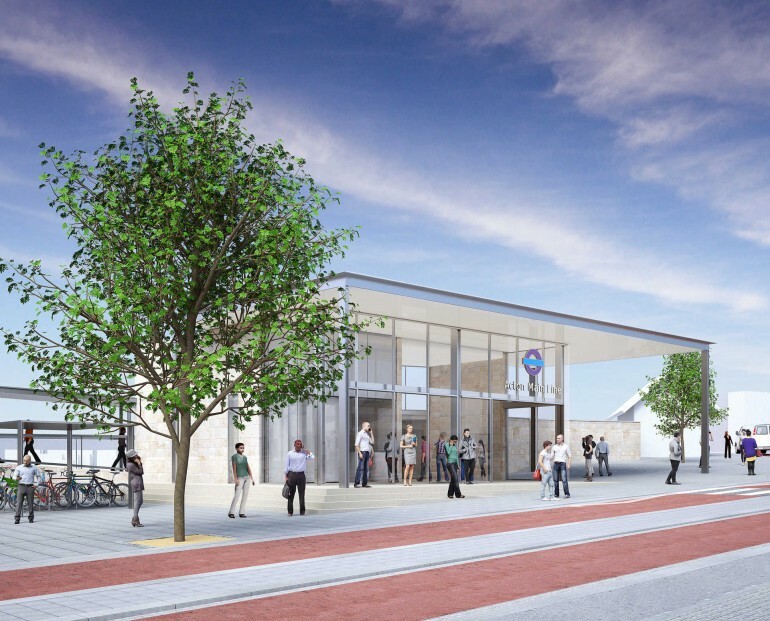 Acton Main Line is set to get a new bright, modern station building following Ealing Council’s approval of designs that were submitted in March. The transformation of the station will be carried out by Network Rail as part of the Crossrail project in preparation for the arrival of Elizabeth line services. A new platform canopy, lighting, customer information screens, station signage, help points and CCTV. The striking new glass and steel ticket hall, which has been designed by Bennetts Associates on behalf of Network Rail, will be located on Horn Lane. In order to minimise the impact on passengers whilst ensuring safety at all times, Acton Main Line station will remain open and operational for passengers while the construction work takes place behind hoardings. During this time, walking routes around the station and access to the platforms may be subject to change. From the end of 2017 the station will be run by Transport for London as part of London’s integrated transport network. When the new railway fully opens in 2019, four Elizabeth line services an hour in each direction will serve Acton Main Line station, allowing passengers to travel right through central London without having to change trains. Passengers will be able to get to Bond Street in 9 minutes and Liverpool Street in 16 minutes, while the journey to Canary Wharf will take 23 minutes. Network Rail is a key partner in delivering the Crossrail project. It is responsible for the design, development and delivery of the parts of the route that are on the existing rail network. Network Rail’s work, which will integrate the new rail tunnels beneath London with the existing rail network, includes upgrades to track, major civil engineering projects, new overhead electrification equipment and improvements to stations and bridges.